By Cookie Monster and Rosemarie Truglio, Ph.D.
That's right, Cookie. Executive functioning is about more than just wearing pinstripe suits and going to meetings. It is a part of a much broader educational concept known as self-regulation. What is self-regulation? When you patiently wait your turn in line, listen carefully to directions, focus your attention on a task rather than giving up easily, or take a deep breathe when you are upset, you are practicing self-regulation. It's a critical set of skills and abilities that affect children's behavior socially and academically. And now, when parents are trying to teach their children elements of self-regulation like self-control, patience and persistence, they have a new ally: Sesame Street. It is important for children to enter kindergarten with fundamental reading and mathematical abilities, but those aren't the only skills they require. Being able to follow directions, stay on task, regulate their emotions, and get along with peers is viewed by many teachers as being more essential for school readiness than academic skills such as counting or recognizing letters. Demonstrations of socio-emotional competence, such as resisting impulses and exerting self-control, don't only demonstrate that a child is ready for kindergarten but are strong indicators of future academic success. That's why we've made self-regulation the curricular focus of the 44th season of Sesame Street. Who is taking the lead in the effort to help children control their emotions and their enthusiasm? None other than the ever-eager Cookie Monster. 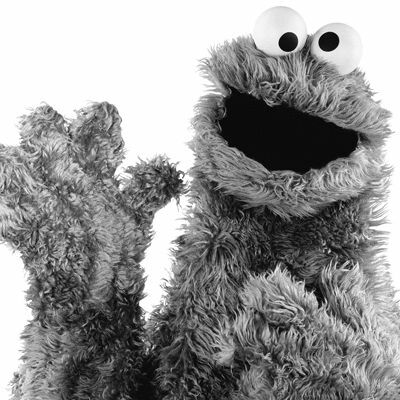 In Sesame Street's newest segment, "Crumby Pictures Presents," Cookie deals with a number of challenges in which self-regulation is essential to achieving his goal. In "The Spy Who Loved Cookies," Cookie Monster must listen carefully to directions if he is to complete his task successfully and save the cookie crown. In "The Life of Whoopie Pie," the perpetually hungry Cookie Monster must control his desire and refrain for eating a boat made entirely of cookies. Through these and other stories starring our beloved monsters, we can demonstrate to children effective strategies for managing their emotions and desires. These skills develop rapidly during the preschool years and help lay the foundation for later academic success and a productive adulthood. The skills it takes to navigate friendships, cope with stressful situations, and improve cognitive tasks, such as working memory and deliberately shifting one's attention, can all be cultivated before a child has even reached kindergarten. The collection of affective, behavioral and cognitive abilities (known as the ABCs of self-regulation) work in tandem to help a child develop the strategies and abilities to make purposeful decisions when faced with either a mentally or emotionally challenging scenario. The goal of Sesame Street's engaging and lovable monsters and diverse human cast has always been to help children reach their fullest potential. But now, in addition to teaching children the basic elements of literacy and numeracy, we're modeling and practicing important self-regulation skills and strategies on the show, in addition to the games and apps based on the show's curriculum. It's all part of a 44-season effort to prepare children for school and a lifetime of academic achievement.